Put your used car to good use! 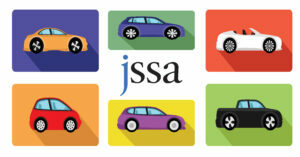 When you donate your car to JSSA, you’re helping to give a somebody in our community a new outlook on life. Call our development department at 301-610-8370 and have your car’s Vehicle Identification Number (VIN) and title on hand. Our towing service will schedule an appointment at your convenience to pick up your vehicle, keys, and title. Once your car sells at auction, the net proceeds help JSSA continue to support local individuals and families in our community. We will call you after the sale to wrap up the donation process. The net proceeds of your car at auction determine the tax credit you receive. Please consult an accountant for tax questions.